Daniel is a New York based fashion designer, graduated from Parsons School of Design to which he won a full scholarship through The New School Competition. Daniel focuses his work around the concept of movement and fashion. 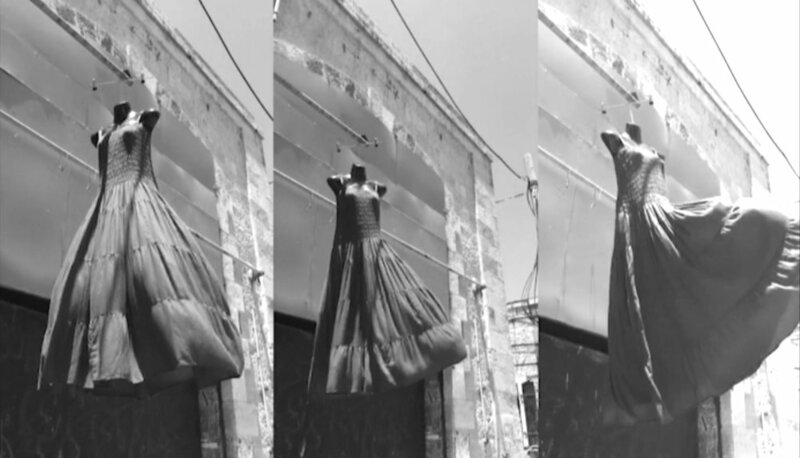 His previous and current projects explore how ready-to-wear fashion can be manipulated into acts of performance. Born and raised in Israel, he finds inspiration in the landscapes of Tel-Aviv, his grandparents background stories as immigrants, and the cultural melting pot of Israeli identities. He designs with a sense of nostalgia and develop his fabrications as a way to convey that emotion in his work. Daniel uses fashion and video performances to explore abstract concepts such as, memory, longing, body and movement. His experiences in the fashion industry include long term internships at brands like Creatures of The Wind, Thom Browne, and Rosie Assoulin where he currently serve as associate designer.